“As a 7 figure/yr customer & longtime supporter of your brand I must say…Y’all GOT US fucked UP!!! APOLOGY NOT ACCEPTED” –T.I. This statement by rapper T.I. comes in response to a wool balaclava jumper by Gucci that closely resembles”blackface”. He even called for a boycott against the brand on his social media page. Blackface was a character portrayed by non-blacks to imitate and humiliate a black person by painting their face black. And just several days ago Gucci joined the club in resurfacing this character. However, this wasn’t the first time the sweater appeared to the public. The sweater was first seen during Gucci’s FW ’18 fashion show back in February of last year just a week and a half ahead of the exact date it caused such an uproar on social media. But why are we just now noticing this? Why wasn’t it an issue just a year ago? Because last year a Virginia Governor wasn’t found wearing blackface in his medical school yearbook. Last year a Florida Secretary of State wasn’t found portraying a Hurricane Katrina victim by dressing up as blackface during a private Halloween party. 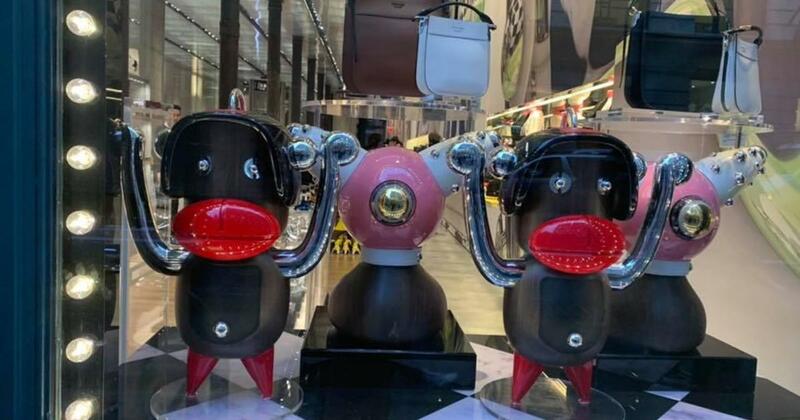 Last year Prada didn’t receive backlash from a racially insensitive key-chain that closely resembled blackface. And you would think that after all of this news of politicians and companies got in trouble for blackface that there would have been some lights going off at the Gucci headquarters. You would think that after recently collaborating with a black designer and racial backlash against one of their main competitors that they would have tried to see if they had any products that would hint at being racist and remove them before social media brought them to the forefront. But it’s obvious they didn’t. It’s obvious that Gucci believed it was in the clear. Its obvious that Gucci believed that since they partnered the Dapper Dan that they had secured some type of pardon from the African American community. Well they were sadly mistaken. They were mistaken not in making the product, they are mistaken in by the inaction to discontinue the product. Because for a year we didn’t notice. For a year we let Gucci slide. And at the beginning of the year they were given several warnings by politicians and brands to “clean up or this will be you”. But they didn’t heed the warning. They chose not to listen. And now African American community is shocked, stunned and disappointed. As long time supporters of the brand we as blacks feel betrayed. And because of this Gucci is in deep trouble.